Struggling retailer Mothercare has dumped its chief executive as it pleads with lenders for a rescue deal. Mark Newton-Jones, who has been running the baby products seller since 2014, was asked to stand down this morning, shortly before the company announced he would be replaced by former Tesco executive David Wood with immediate effect. Alan Parker, chairman, denied the company’s creditors had been pushing for a change of leadership as a condition of the refinancing deal Mothercare is in the process of negotiating. 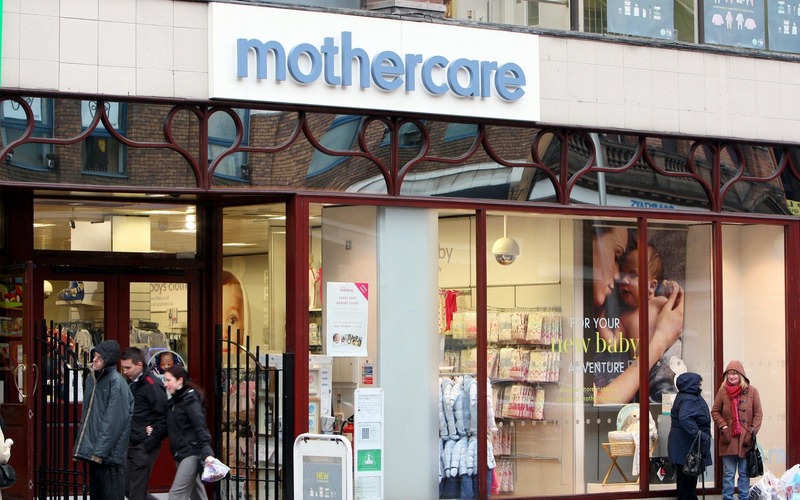 Mothercare brought in KPMG in March to help it renegotiate its debts and secure new funding to avoid becoming the latest high street name to go under. Its lenders agreed to delay the test date on its financial covenants from the end of March to May, giving it more breathing space to improve its financial position. The retailer has been fighting to turn around its fortunes for several years as it has grappled with a shift away from bricks and mortar retail and difficulties with its international franchises. Its same-store sales enjoyed a brief resurgence at the beginning of last year but slumped over Christmas after consumers were left unimpressed by its decision to offer fewer discounts. Mothercare's shares have fallen to an all-time low, now changing hands for 18p in afternoon trade, 1.4pc below yesterday’s close and down from a peak of 295p in 2016. Mr Wood was most recently group president of Kmart, running the grocery and pharmaceutical businesses belonging to US retail giant Sears Holdings. Before that he led Tesco’s health and wellness division. Mothercare, which has around 140 UK stores and almost 1,000 international franchises, posted a pre-tax loss of ?16.8m in the six months to October on revenues of ?340m.